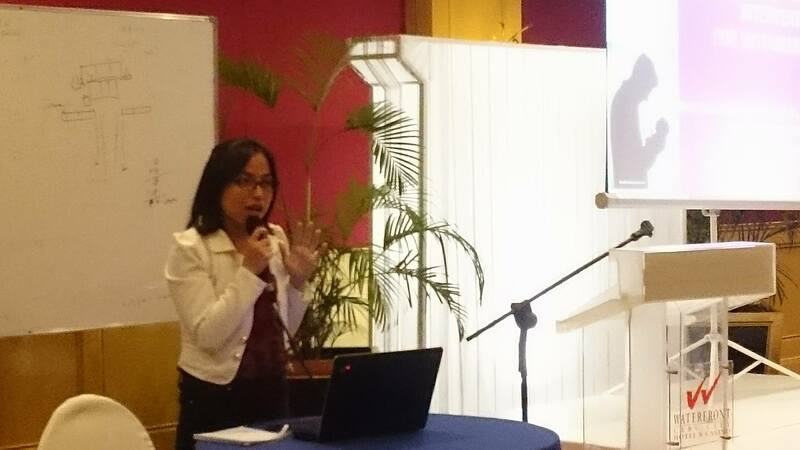 The Joint convention of the 11th Biennial Conference for the Asian Association for Social Psychologists and the Philippine Association for Psychologists’ 52nd Annual Convention was held in Waterfront Hotel, Cebu City last August 19-22, 2015. More than a thousand international and national delegates came together to listen to the different psychologists present the work that they do all over the world. 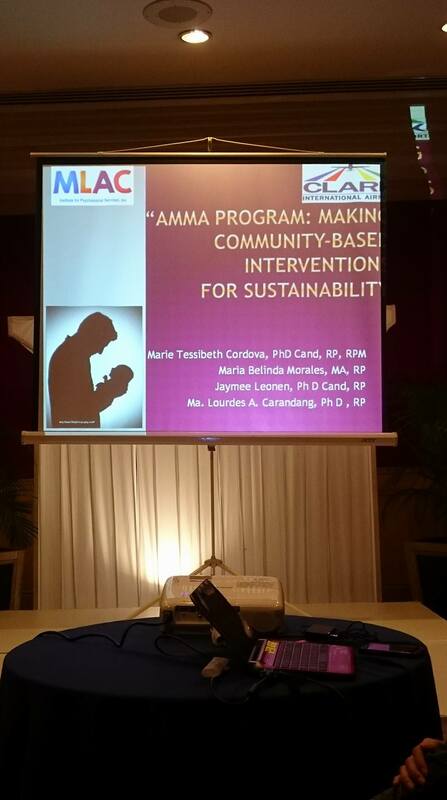 Among the presentors in the Parallel Symposia were MLAC Team members Marie Tessibeth Cordova and Jaymee Leonen. Under the Parenting Cluster, they presented their paper entitled “AMMA Project: Making Community-Based Interventions for Sustainability” at the Sidra Room at 4:00PM on August 20, 2015. The paper described an ongoing project known as the Ama na Magaling Mag-aruga sa Anak (AMMA) which is a series of interventions directed for the families left-behind by female OFWs. This project began with a research conducted in 2007 by Dra. Carandang and her team of psychologists, the MLAC Team. The major findings of this study were published in a book entitled “Nawala ang Ilaw ng Tahanan”. This book contains case studies describing the impact of the mothers’ migration on the self-esteem of the fathers who did not know how to handle the role of caring for children and doing household chores and on children experiencing pervasive loneliness and longing for their mothers who are away to work. 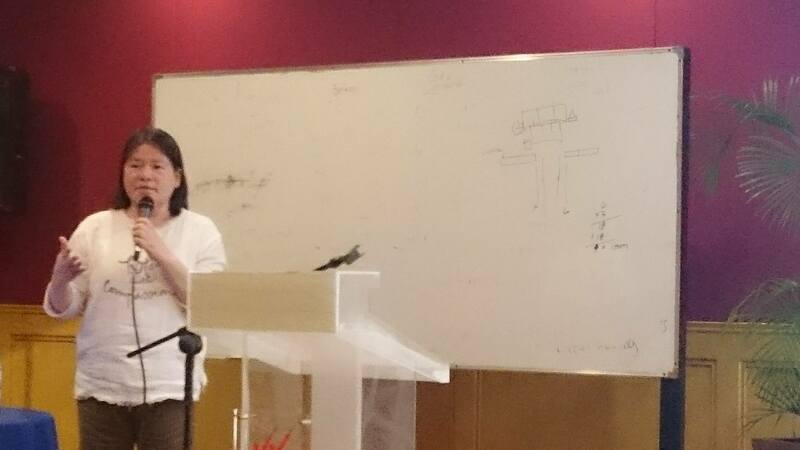 MLAC member Jaymee Leonen discussing the background of the project. This book was the take-off point of the project, which is now on its third year of implementation since 2013. It began with psychosocial interventions through mindfulness-based expressive arts therapy for both the fathers and their children. Fathers were also given seminars on parenting, counseling, and financial management. The fathers were so pleased with the results that they requested MLAC for further training to be able to share the benefits to other fathers in similar situations. MLAC Member Tessibeth Cordova discussing the ongoing action of the fathers towards creating sustainable income-generating projects for fellow fathers with the assistance of government and non-government organizations in the process of implementation. 2014 was dedicated to training fathers and other local leaders to continue the project. However, the highlight of the paper is the discussion on partnering with existing social structures such as non-government organizations based in the area of the project, in this case, Clark International Airport Corporation (CIAC), in order to ensure its sustainability. This is a key feature of the AMMA Project, which makes its impact even more felt in the communities, because it has withstood time and still continues to positively affect the lives of the families of OFW mothers. 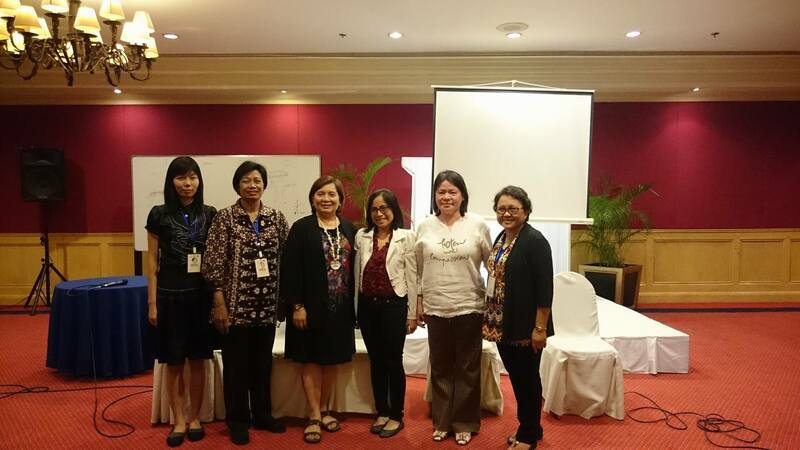 Group picture with co-presentors in the Parenting Symposia (L-R) Su Wan Gan, Desak Putu Parmiti, Session Chair Dr. Grace Aguiling-Dalisay, Jaymee Leonen, Tessibeth Cordova, and Susana Ortega. 2014 was dedicated to training fathers and other local leaders to continue the project. However, the highlight of the paper is the discussion on partnering with existing social structures such as private organizations in the area of the project in order to ensure its sustainability. This is a key feature of the AMMA Project, which makes its impact even more felt in the communities, because it has withstood time and still continues to positively affect the lives of the families of OFW mothers. Next You are invited to MLAC Institute’s 5th Anniversary on November 24, 2015!